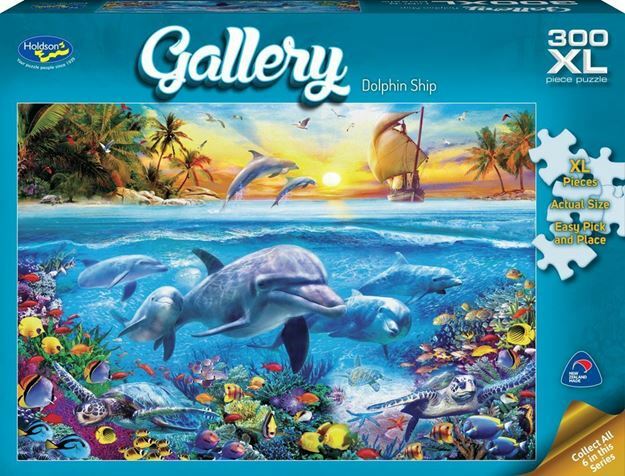 This extra large piece jigsaw puzzle is from the Gallery Series 5 collection. Enjoy piecing together the brilliantly coloured and beautifully detailed scene of animals. There are 6 in the series to choose from. Made in New Zealand. Suitable for ages 8+.